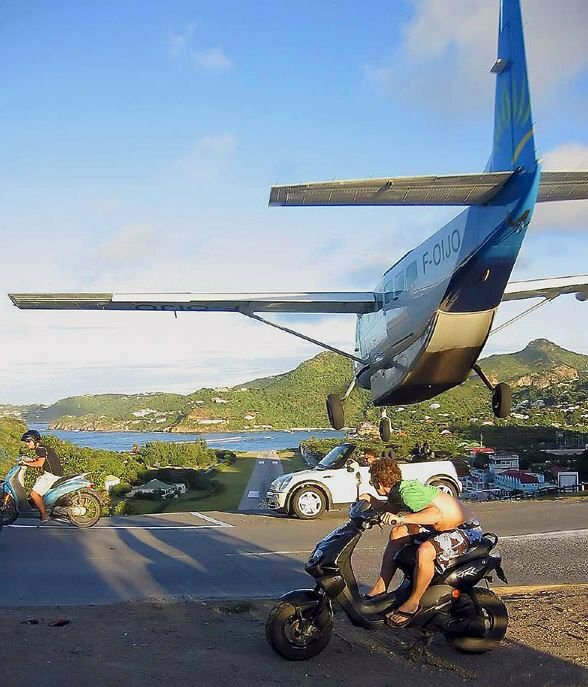 This is the normal approach path for aircraft landing on Saint-Barthelemy! Note the runway at the bottom of the hill. Gotta maintain that glide path! I've heard the Secret Service pass code for when the president is in danger is Donald Duck.